NFL Draft Takes Over Music City! The NFL Draft is Taking Over Music City! We are very excited for the NFL Draft to Take Over Music City later this month! We are pulling out all the stops for one of the biggest events of the year! Tim McGraw will headline a free outdoor concert on the Draft Main Stage on Friday, April 26th. Dierks Bentley will headline a free outdoor concert on the Draft Main Stage on Saturday, April 27th. Additionally more than 20 artists – including Charles Esten, Striking Matches, Charlie Worsham – will perform live throughout the weekend! Join NASH FM 103.3 at the NFL Draft Experience Presented by Oikos® Triple Zero! 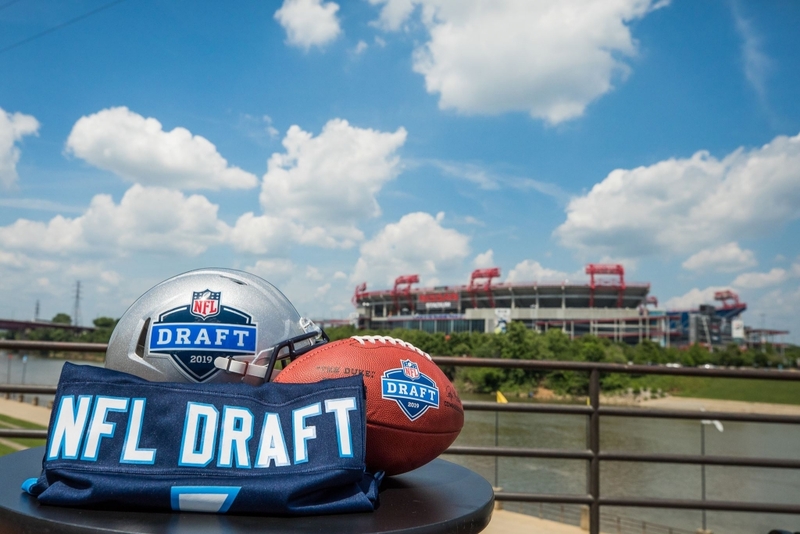 NFL Draft Experience Presented by Oikos® Triple Zero, invites families and fans of all ages to enjoy a FREE admission, three-day football festival held in the plazas directly across the river outside of Nissan Stadium from Thursday, April 25 – Saturday, April 27. Fans of all ages and teams will be able to participate in interactive exhibits, immersive games, virtual reality experiences, free player autograph sessions and more! The future of football is coming. Watch the NFL’s stars of tomorrow step into the spotlight, live from Nashville, beginning on Thursday, April 25 through Saturday, April 27. Festivities will be held up and down lower Broadway near the Cumberland River near Nashville’s famous honky-tonks. NFL Draft Experience is FREE, no tickets required. You can follow the 2019 NFL Draft action by downloading the Fan Mobile Pass app. The app will serve as the central hub for information and updates on NFL Draft Experience and concert series. Fan Mobile Pass also offers fans a chance to gain access to exclusive viewing areas at the NFL Draft Main Stage, so they may watch in person as the picks unfold and Draft boards come to life. Download now at NFL.com/apps!